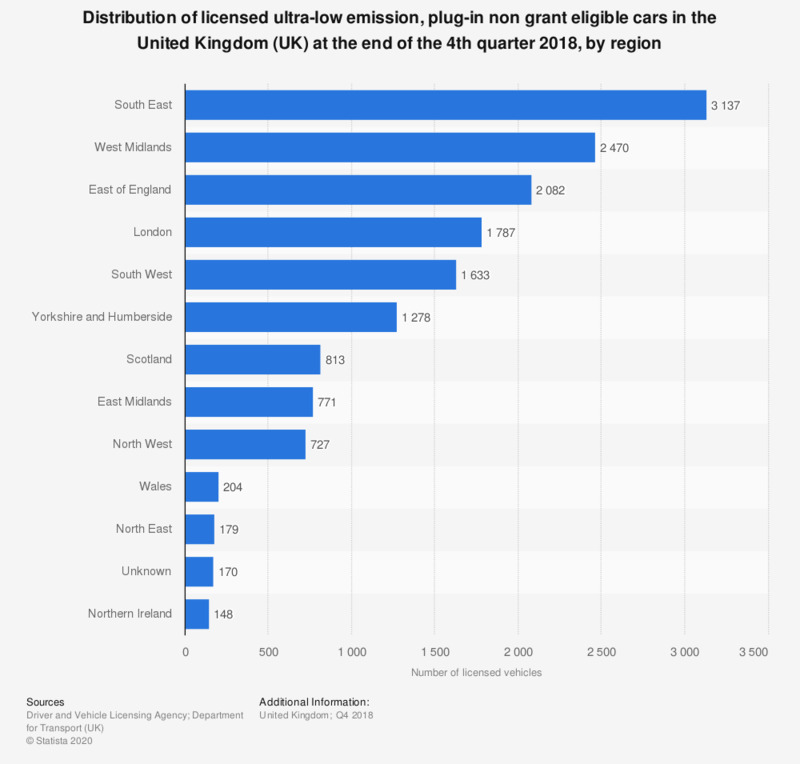 This statistic shows the distribution of licensed ultra-low emission cars, which were not eligible for government grants across the United Kingdom (UK) at the end of the second quarter of 2018, by region. Only electric vehicles, plug-in hybrid vehicles and hydrogen fuel cell vehicles were eligible for government grants. Plug-in non grant eligible cars were most popular in the West Midlands with 2,470 vehicles. They were the least popular in Northern Ireland with 148 vehicles.